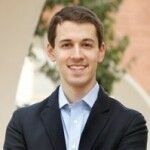 Morgan Polikoff is an associate professor of education at the USC Rossier School of Education. He studies the design, implementation, and effects of standards, assessment, and accountability policies. Read more.